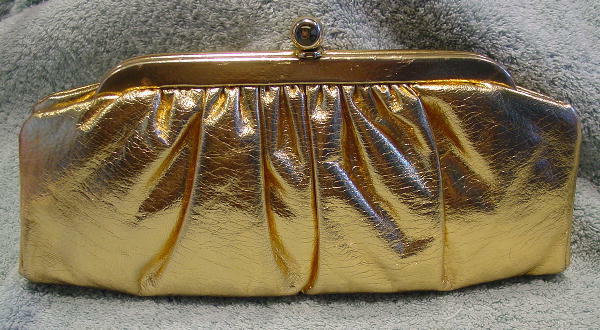 This bright dark gold lame faux leather evening clutch is a Florida Handbags of Miami. 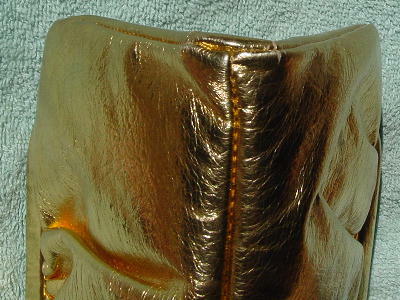 The front and back have gathering and the gold lame rims have some scuff marks which are visible in certain lights. 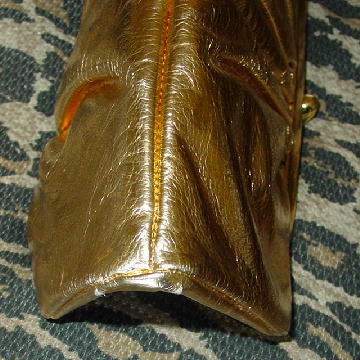 The gold-tone metal top closure has a scuff mark on the top side. 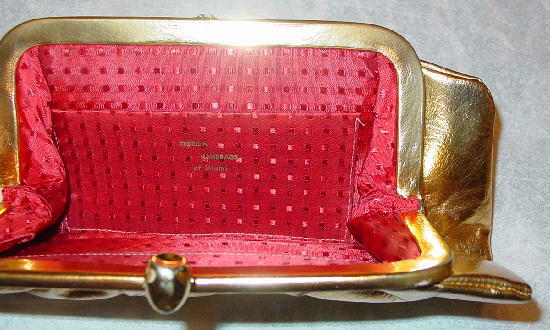 The interior lining is red with horizontal rows of tone-on-tone tiny box shapes. 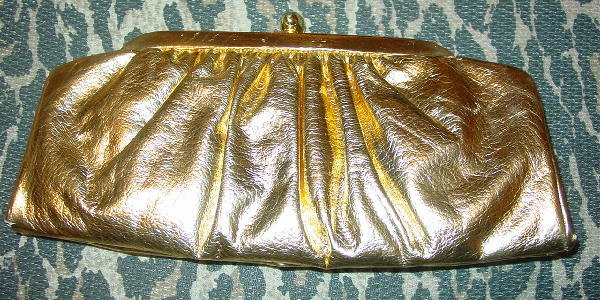 It has two interior fabric lined pockets. 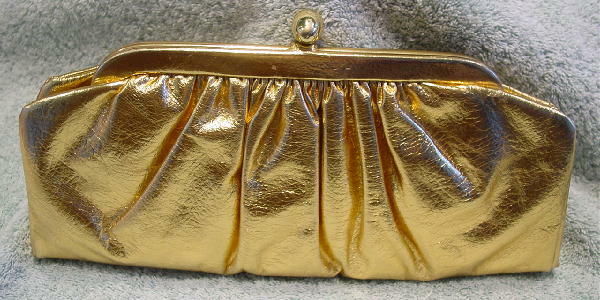 The gold lame color is worn off in tiny areas on all the bottom corners and on a tiny spot on one top corner. 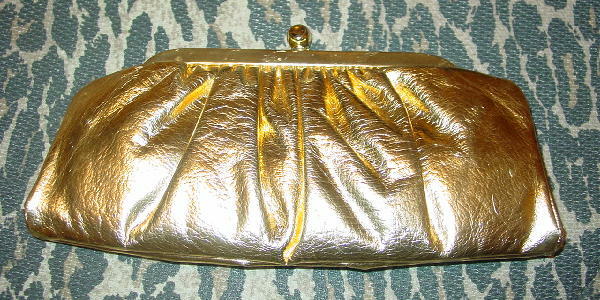 It's from a former actress who used to vacation in Miami in the 1950s and 1960s.